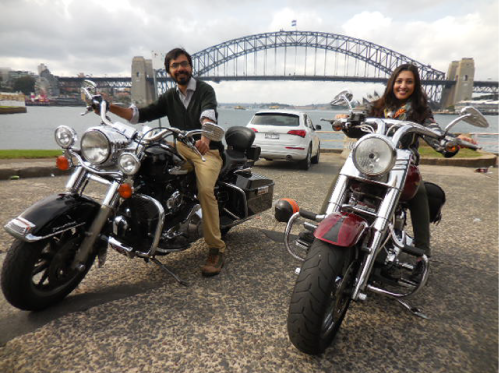 Motorcycle rides in Sydney Australia are very popular as people look for more unique and exciting ways to discover the city. Whether you are part of a large group looking to experience the open roads, or you are by yourself and just want to take a different opportunity to see the sights, we will make your tour a special one. All our rides are chauffeured, we don’t hire out our motorbikes or trikes for self driving. 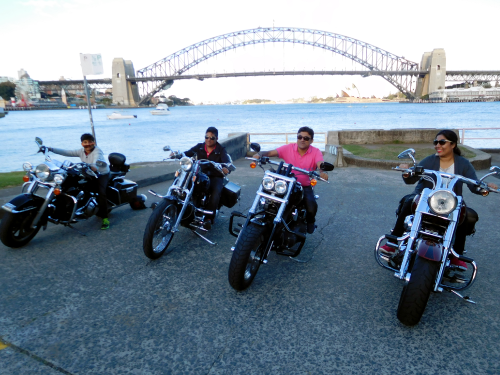 Troll Tours in Sydney is the leading provider of motorcycle rides and tours in Sydney. 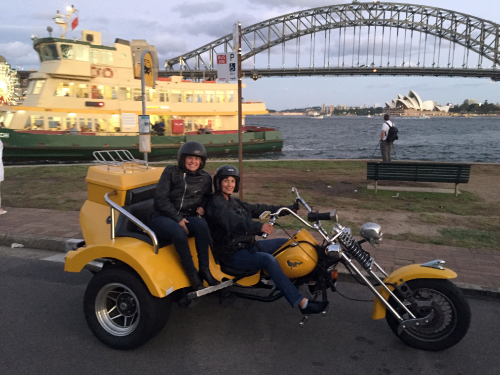 We specialise in providing trike and Harley Davidson tours and we can help you to create your own personal tour and experience. Choose a ride or tell us where you want to go! All our tours can be changed to suit your personal requirements. All prices in Australian Dollars. These prices are for 1 to 2 Harleys or a minimum 2 people on a trike. Multiple bike and trike discounts available so please ask for prices. 1 person on the trike will incur a surcharge. A minimum of 2 people together are needed for use of sidecar – one on back of Harley with one in sidecar, for a minimum of 1 hour. Amex and premium (gold, platinum etc) cards incur a 1.8% surcharge. Any credit card refund will incur minimal bank costs. 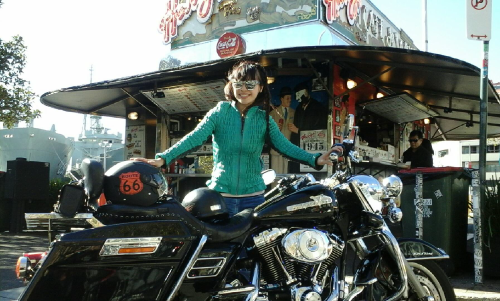 We are open 7 days for trike and Harley rides and tours! After 7.00pm, the minimum time frame is 1 hour. All our rides are chauffeured, we don’t hire out our motorbikes or trikes for self driving. We not only cover Sydney, but the famous Blue Mountains and the prestigious Hunter Valley too. 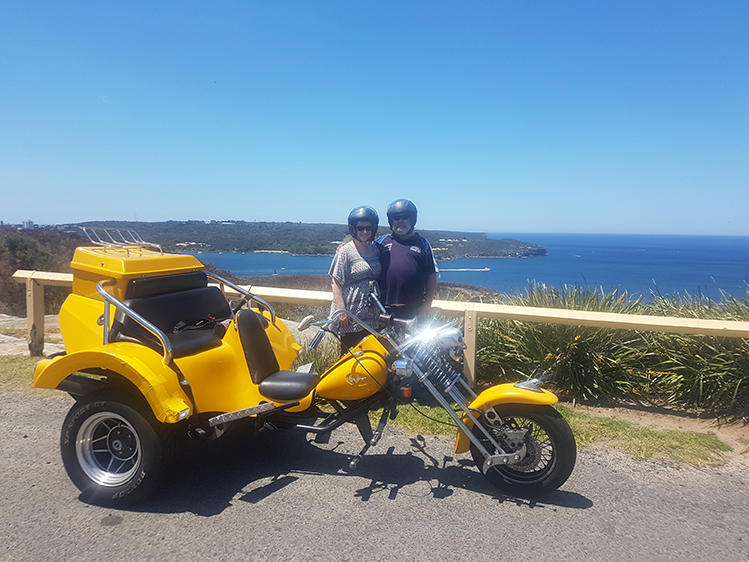 A ride through the Royal National Park, south of Sydney, is fun also. Our tours are popular amongst tourists and locals alike. Tourists visiting Sydney get the opportunity to see all that the city has to offer in a short amount of time and avoids the need to use public transport. We also cater for special occasions such as birthdays and weddings. Imagine cruising on the open road on a Harley Davidson, not many people get to do that in their lifetime! A Harley is a beast of a machine. Not only do they have a unique feel about them, the roar of their engine is a sound that will stay with you forever. 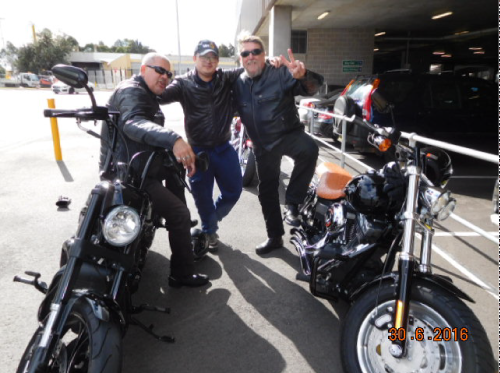 Our motorcycle rides and tours are photographed throughout the experience and these photographs will be provided to you after the tour has finished. Just imagine the look on your friends and families faces when they see you on that Harley! If you are really looking for a fun and unique day out, then Troll Tours motorcycle rides will be the perfect adventure for you. Our friendly guides will ensure that all of your expectations are met and more. If you have any questions do not hesitate to contact us. We will be happy to help! Blue Mountains Belle, Kangaroo Valley Bounce, Hunter Valley Taster. In fact, whatever you desire we can organise. Design your own itinerary for the adventure of a lifetime & we will be happy to make it happen. Or ask us for more suggestions, we know Sydney and its surrounding areas very well. 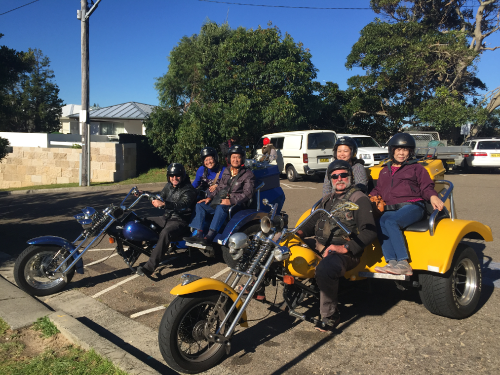 These Harley and trike rides make great gifts for birthdays, Christmas, for your Valentine or for children, even just to celebrate life. Book now or buy a gift voucher!! We can organise champagne (sparkling wine) & cheese platters, sunset picnics, kids birthday parties etc. How about a treasure hunt or a team building exercise? We can move 1 person up to a large group of people. 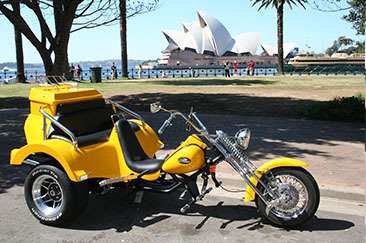 Our Chopper 4 trikes seat up to 3 average sized passengers. 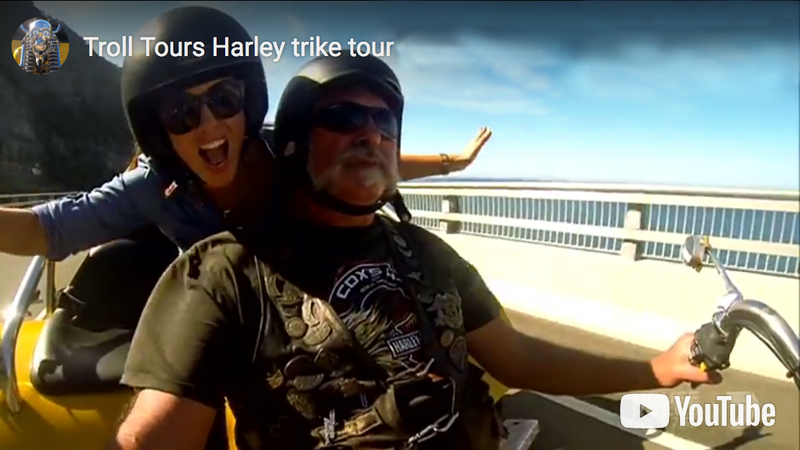 Harley Davidson Motorcycle tours and Chopper 4 trikes.